Michael Murphy lives and works in Brooklyn, New York. Born in Youngstown, Ohio, Murphy studied sculpture at Kent State University and received his masters degree from The School of the Art Institute of Chicago. Murphy taught digital media to art students for thirteen years. 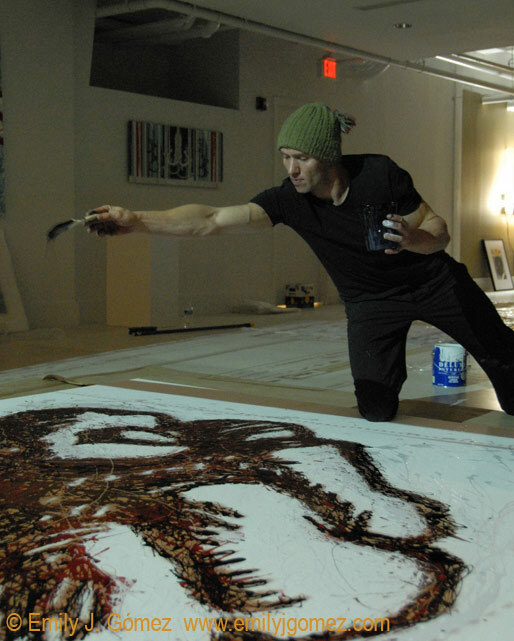 He most recently held a tenured position as Professor of Art and Technology at a University in Georgia, a position he left in 2013 to devote his time solely to making art. Murphy first gained notoriety when he created the first fine art portraits of Barack Obama during his 2007 campaign for the presidency. His work has been featured in numerous publications including TIME Magazine and New York Magazine and can be seen in numerous permanent installations around the world. His client list includes some of the largest brands in the world including Google, Nike, The Jordan Brand, LG, Lexus, Subaru, The Big Ten Network, ESPN, Disney, and the Atlanta Hawks to name a few. He refers to his work as Perceptual Art due to the emphasis on the viewers’ perception. His work can be viewed online at perceptualart.com and on Instagram @perceptual_art.